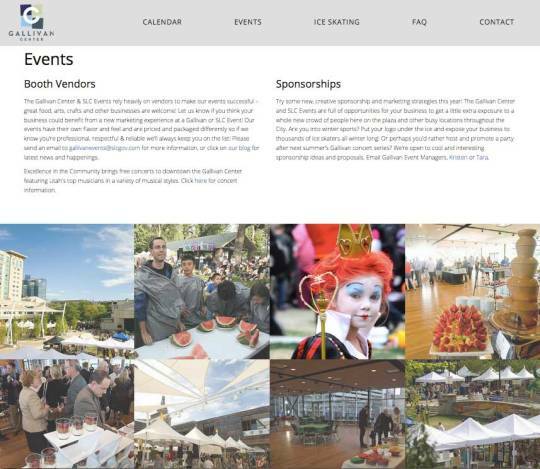 We were stoked to jump at the chance to redesign the Gallivan Center.Â We have been to tons of events there, and were so tickled at the chance to make their site more mobile friendly and really showcase what they offer! We involved one of our talented graphic designers to work with the Gallivan Center to created a really engaging site with that WOW factor! Take a look, yowza! We have been building out a way rad feature that Gallivan Center took advantage of. They can easily add events to their Calendar at any time. They can go into the tool and add events or even make them repeating, so they can save time in populating information. With so many gorgeous photos to showcase, we had to take advantage of that on a number of pages. The Gallivan Center has so many events that often times the public isnâ€™t aware of, we had to make sure the pictures illustrated that. 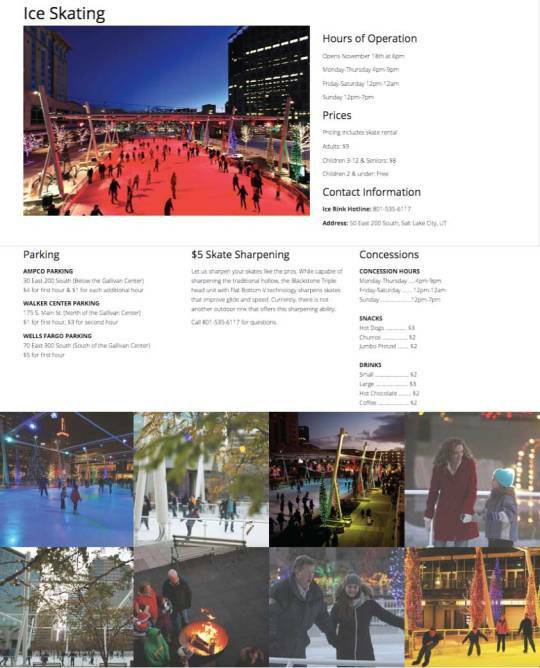 If you know Salt Lake City, you know that the outdoor ice skating rink at the Gallivan Center is VERY popular. Their old site has information on a number of pages, which makes it hard to locate what youâ€™re looking for. We added all the content on to their Ice Skating page, so all the information is easy to access. 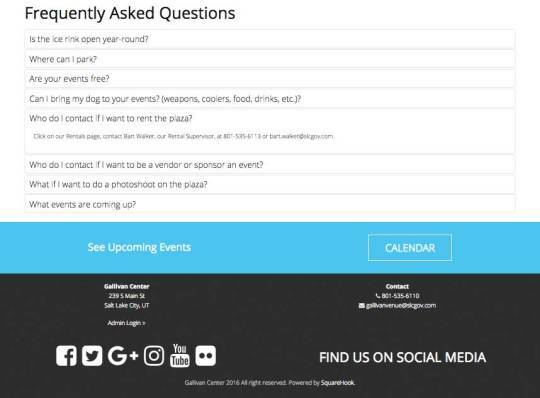 We made them a FAQs page to help the Gallivan Center staff avoid answering questions over and over again. The site can answer those questions for them! Their new Mobile site is SO much easier to navigate. And with so many people visiting Salt Lake, they are going to be searching on their smart phone, it had to look good, and work great! We LOVED the resulting site, and hope that people notice that the Gallivan Center has gotten a serious upgrade in looks and functionality. 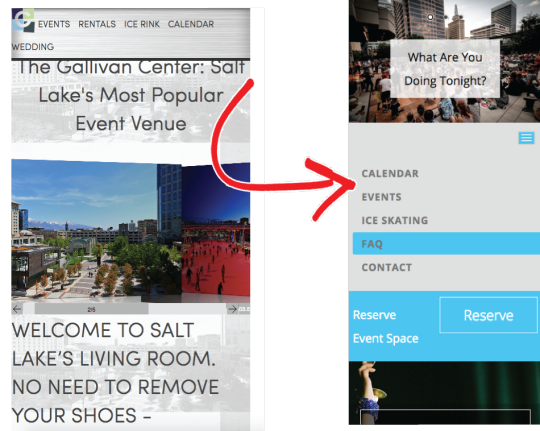 The Gallivan Center staff has been trained on our easy to use CMS, and they are editing their site now, with no problem.Â Thatâ€™s the goal, after all. Contact us if you are looking to make your site WOW others. ® Copyright by 3ShearsDark. Powered by SquareHook.